I’ve been using a 32 oz stainless steel Hydro Flask for a little over a year and I’m very pleased with its design. I wanted to share my thoughts and long term im pressions after a year of daily use. First and foremost I use the flask exclusively for water. People say it’s great for keeping tea or coffee hot but I don’t care and I’ve never tried it. Keeping water cool is what I’m interested in. I like to stay hydrated and go through about 5 liters a day. The flask is always within arms reach whether I’m at work or home. I should mention that I primarily drink refrigerated tap water because it tastes so much better than luke-warm water right out of the faucet. Letting a gallon of water sit in my fridge for two hours somehow radically increases its desirability. Cool water is better any time of the year, summer or winter. I used a wide mouth Nalgene for years prior to getting the Hydro Flask. The Nalgene served its purpose well and was notable for being indestructible. I was intrigued by insulation of the Hydro Flask. I picked one up in the summer and was immediately impressed. The water in my Nalgene would become room temperature within about 30 minutes and leave a puddle of condensation in the humid summer air. I had coasters all over my house to prevent damage to desks and tables. The Hydro Flask kept water cool for hours at a time with no external condensation. I was sold. Fast forward a year and the Hydro Flask is still my primary water source. The stainless steel finish is attractive and relatively robust but I did dent it after dropping it on concrete. Overall the Hydro Flask is much more attractive than my old Nalgene which would accumulate scratches. Durability is great, especially compared to similar aluminum bottles. My only complaint is that the rubber band wrapped around the cap has started to slacken and come loose. The Hydro Flask is similar to my Nalgene and other bottles in that it is difficult to clean. The bottle tends to accumulate crud over time and requires a thorough scrubbing and rinsing every week. 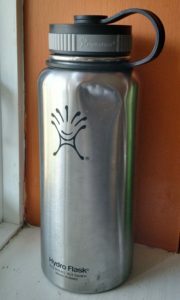 The upside to the Hydro Flask is its opaque nature, it presents a clean outside finish even if the inside needs some work. My only other knock against the Hydro Flask is that is louder than my Nalgene. It makes a distinct ringing noise if I bang it against a table or desk and it makes a lot of noise if you unscrew the cap. This is mostly an issue for when I’m at work, I try to be a little more cautious so I don’t make a racket in meetings. Overall the Hydro Flask has been a great improvement over my Nalgene and I’m happy I made the switch. If you’re interested in an insulated bottle for water then look no further. Insulated and keeps water cold! Every good engineer knows the right tool for the task at hand. In my work as a mechanical design engineer I have found myself using the same small set of tools on a daily basis. All of these items are within an arms reach at my desk. It’s rare that I find a comprehensive list that includes all of the items below. This list has been generated through years of experience and all of these items would make great gifts for seasoned engineers or a new graduate. 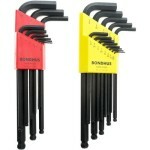 Hex Keys – A complete set of these is invaluable. You’ll never know when you’ll need to adjust or disassemble something. Tuck these away in your desk drawer and never search for a missing wrench again. 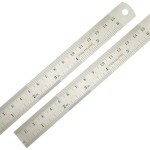 6″ Stainless Steel Ruler – Great for quick measurements and small enough to fit in your pocket. This is one of my go-to tools at my desk and in the shop. I use it for reverse engineering parts and measuring raw material stock sizes. This is a two pack, you’ll lose one eventually. 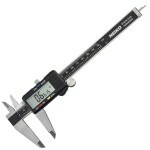 6″ Digital Caliper – When you need a finer measurement look no further than an inexpensive digital caliper. If you have deep pockets (or are a machinist) go for the Mitutoyo otherwise this will get the job done. Great for measuring hole sizes, determining fits, and a great reality check for figuring out part clearances. This is the best tool for figuring out what a .010″ gap looks like or if a 15 mm hole is large enough to stick your finger through. 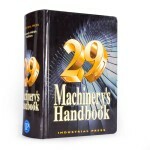 Machinery’s Handbook – A wealth of information available for a go-to reference. You’ll maybe use .5% of it. I use it as a quick reference for weld callouts, GD&T symbols, part fits, material properties, and pipe sizes. 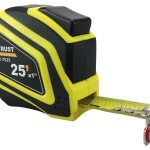 Tape Measure – Boring but useful at your desk and in the field. Measure footprints for existing machinery, aisle-ways, and raw material lengths. Or use it to determine what a 45″ work surface would look like or how high to mount an operator control panel. 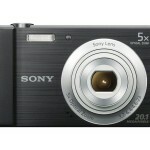 Camera – Great for taking photos of equipment out in the field or of parts sitting on your desk. Inexpensive, small enough to fit in your pocket, and a good macro mode for getting parts in focus. 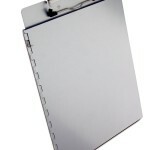 Clip Board – Invaluable for taking measurements in the field. Makes it easy to sketch measurements while juggling a tape measure and a camera. Trust me on this one. 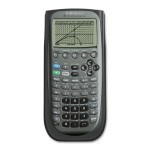 TI-89 Calculator – A reliable workhorse, this mostly handles basic arithmetic but it’s a great reality check for calculations when I try to remember all the calculus I forgot.